F1 2016 is ranked in the 83rd percentile of games scored on OpenCritic. After 2 years of “meh” with F1 on consoles Codemasters knocks it out of the park with few complaints. 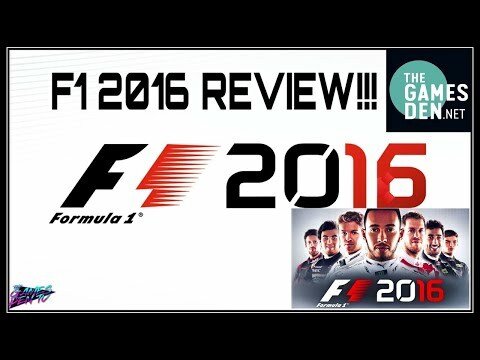 F1 2016 Is the best F1 game in years possibly the best ever created. It's an essential purchase for fans of F1 or racing fans in general. 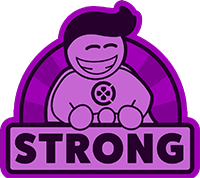 It has the perfect difficulty curve for newcomers to get to grips with and is deep enough to keep the die-hard pro's happy. A few annoyances dampen what is otherwise an outstanding game but none of them detract from the intense thrill of F1racing. F1 2016 gives you even better racing than last year's version, then makes it the centre of a brilliant career mode. The handling, AI and sense of speed have never been better, while the changes to starting and the new practice goals have a major impact on the race weekend. This is an F1 game for F1 fans, but exciting enough to pull in those who'd never normally sit through qualifying. You can't really ask for more than that. F1 nerds and racing fans, get ready for the best F1 game ever conceived. If you are a fan of the Formula 1 racing then this is a game for you. You can tell time was taken in its development creating a detailed true to form game for the franchise. I would have loved to see some extra beginner-friendly modes, but between the tutorials and some extra practice you will be picking it up and crossing the finish line in no time. If someone like me could have fun writing this F1 2016 review, Formula 1 veterans are sure to have a blast! The end of summer is here and it is time for the annual titles to rain on us from the gaming Gods. No different than many other popular yearly franchises, the official FIA Formula One World Championship flagship title, F1 2016 is now available and back with even more Formula One goodness. Chalk full of exciting tracks, a robust career mode, and the new Formation Lap / manual starts feature, F1 2016 promises to be the most complete F1 experience ever. Spoiler Alert ... F1 2016 delivers on that promise. It really is the F1 themed racing game that The Codemasters should have made all along. F1 2016 is fantastic and is the provisional pole sitter of the series. One for every F1 fan and a definite must have for the racer in your life. Being able to battle against 21 other real life opponents, not just in a single race but in a full season, is a whole different formula for the F1 series. It's an experience we have been yearning for over the past few years and welcome changes add depth with reducing the entry level. F1 2016 certainly lives up as a must buy for fans of Formula One, but even fans of the racing genre as a whole, I would definitely recommend this game, despite just a few niggles with the AI. F1 2016 feels more polished and refined than any entry in the series. The real world of F1 might have had one or two dull races this year, but be assured that each and every race in F1 2016 is quite simply spectacular. F1 2016 is certainly one of the better representations of the sport in some time. The handling of the vehicles is just right, and once you understand the little nuances, the races are thrilling from start to finish. The career mode is more than enough to sustain any player, but the other included modes give the game real value. It still needs work in the presentation area, but for simulation junkies who want to race around in cars they'll never be able to afford, F1 2016 is the best thing going. F1 2016 is an outstanding race sim, and should be in any race fan's rotation. Annual franchises can be tough to get excited about and to differentiate, but Codemasters has made some great decisions with F1 2016 to make it a clearly superior version to last year's, and quite possibly the best version in the franchise to date. Codemasters spent the time listening to feedback, and while this may be the only F1 game in town, F1 2016 is feature-rich and mechanically sound, like a turbocharged Formula One car. F1 2016, in many ways is just like the sport itself. It’s interesting before the race begins, as viewers can spectate the inner workings of the sport, but once the race gets going, and racers continue to pass laps one by one, it all turns into a one, soul destroyingly dull blur, which soon makes one want to switch the channel, as nothing is happening, and you’re simply watching the same Rolex banners over, and over again. F1 2016 is a real upgrade on its predecessors, and hints at a promising future. It's a podium finish at last for Codemasters' racing series. Admittedly it isn’t entirely perfect, I personally would have loved much more in depth career functions, such as not just being the driver, but actually being able to manage the team, and swap your team mates with other drivers from other teams. But, overall though, it’s an all-rounded fun game which any motorsport or F1 fanatic will enjoy. Although the game can sometimes get a bit technical and the race weekends can be quite long (about an hour or so for a short weekend), we think F1 2016 is great fun. With so much content to jump straight into there is no way you could be disappointed with this game. The game gives you a very real Formula one experience, almost akin to the real thing. On reflection, F1 2016 is a game that has enhanced itself significantly with this instalment. It accentuates the smaller details of the sport, but also makes a series of more wholesale changes, which makes the game seem more purposeful. The availability of proper lap analysis and telemetry data brings a proper purpose to practice sessions. It finally turns a too often pointless mode into the proactive, useable tool that it should be for improving driver performance. While it's not the perfect outing, it's a more serious and functional affair that will appeal to the purists two-fold. Codemasters has certainly learnt from DiRT Rally, which didn't deter less serious racing fans, but introduced the details to players in the right way. Although it is not quite perfect overall, it's an encouraging step in the right direction and still easily the most authentic F1 racing game ever made. Unlike real Formula One, Codemasters listened to the fans - and as a result have produced one of the finest F1 games in their history. F1 2016 is better than its predecessor, thanks to a range of innovations expected by all fans: the return of Career, a better complexity of the race weekend, the inclusion of the pit stops and a better AI. Codemasters has gone the extra mile for F1 2016, addressing almost every last one of F1 2015's shortcomings, while delivering an in-depth and enjoyable Career Mode at its core. Factor in all of the other modes and touches, and F1 2016 is not only the most authentic Formula One game to date, it's also one of the best in some time. A marked improvement on last years entry, with plenty of new features to keep all levels of players interested. The new features add much needed playability to the sessions in the career and the manual starts/pit entry and formation laps add the extra sprinkling of realism needed to help it feel more immersive. Make no mistake, F1 2016 is pretty, but in some areas and not others. Die Jungs von Codemasters haben meine Wünsche weitestgehend erfüllt. Endlich gibt es einen Karriere-Modus, der mich sogar ganze zehn Saisons an den Bildschirm fesseln kann. Die Einführung der Herausforderungen in den freien Trainings wirkt erfrischend, wenngleich diese mit laufender Spielzeit repetitiv werden. Weiterhin ist der Spagat zwischen Arcade-Racing und Simulation wieder außerordentlich gut gelungen. Online gibt es dank Lobby-System viele Gegner, die bezwungen werden möchten. Dank dieser versöhnlichen Rückkehr kann man über den verkorksten Vorgänger hinwegsehen und jedem Formel-1-Fan nur raten, in diesem Jahr wieder zuzuschlagen. Für das nächste Jahr wünsche ich mir dann allerdings einen Split-Screen-Modus, die Online-Coop-Saison und den Classic-Modus zurück. Bis dahin werde ich mit meinem Zögling weiter an der Million arbeiten. Keep racing! With a gratifying campaign mode and a racing experience that had me physically leaning my body into every turn, Codemasters have created a racing game that provides a gripping experience from start to finish. F1 2016 is the most comprehensive F1 experience yet. After years of dissapointing releases, Codemasters brings what might be the best F1 game ever created so far. The depth available in F1 2016 is staggering, and the difficulty can ramp up to ludicrous levels. I’m impressed with the excellent work that Codemasters put into the latest addition of the F1 series, and I’d be just as impressed to watch someone play this game on Legend difficulty and win. F1 2016 looks like it could be an instant classic. If Codemasters can nail the multiplayer portion, it has a very good chance of being the best entry in the series. F1 2016 is the game that fans have been waiting for. Its Career Mode gives fans a reason to invest time into the game for quite a while, and also gives players a taste of the goings-on when you’re off the track. This is almost certainly the best F1 game from the development team thus far, and a real step up from last year. Codemasters has finally hit its stride in the racing genre, with some quality racing sim titles such as this and Dirt Rally. Codemasters created a great foundation for themselves when they made F1 2015. It wasn’t the greatest F1 game ever, but it looked and ran great. Building upon that foundation, F1 2016 adds quite a few bells and whistles, along with a meaty career mode and an unforgiving Pro Career mode that is as much fun as it is difficult. It’s not everyone’s speed, but devotees will feel like it’s a welcome return to form. F1 2016 is a very enjoyable game. The visuals are great and the game has a variety of different modes. But the tutorial is pretty bad and overall the game needs more polish. Codemasters have nailed 2016 with an engaging career mode, slick gameplay and a solid overall package. If you’re looking to jump back in for some F1 fun, this year doesn’t disappoint. F1 2016 nails the content and visuals, but fails to ease the player into most of its complicated mechanisms. To a Formula 1 fan, it's a masterpiece, but to anyone else, it's a bit overwhelming and doesn't stand out among other racing games. Even with some obvious issues, F1 2016 keeps you racing right up until the checkered flag. F1 2016 is not perfect. Those who believe that are either too happy from the fact that this is a breath of fresh air after F1 2015, or because they've watched too many videos involving pit stop girls. Anyhow, the few improvements are very good, and the few existing flaws (especially the subpar AI), will not be enough to stop most virtual drivers' imaginary champagne showers… pit stop girls included.